Most jewelers are trustworthy and would never cheat their customers. In fact people usually fall prey to diamond switching scams because they made a poor jeweler selection. That said, diamonds can be switched (usually for a cubic zirconium) anytime the jewel is left unattended with an unscrupulous jeweler. This may include the gap between purchase and mounting, the times when a diamond ring is brought in for cleaning, repairing, remounting, etc. You can prevent diamond switching by having your jeweler plot out your diamond on your receipt. This will basically include making marks signifying the location and size of your stone’s inclusions. Many inclusions are so tiny they are invisible to the naked eye. 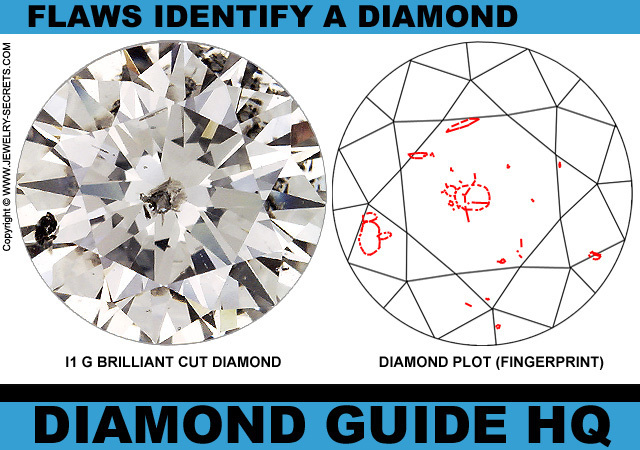 However, you should ask to see your diamond through a loupe (a small magnifying glass used by jewelers). You can also identify your stone by the grading report and or any laser engravings. If your jeweler refuses to cooperate with your request, you should take your business elsewhere. Let your jeweler know you are keeping track of your diamond’s unique appearance. Come to a common agreement about the unique marks on your precious stone before leaving it at the shop. Check it when you go to pick it up. If there are any discrepancies, bring this to the jeweler’s attention immediately. These steps should discourage any dishonest shop owner from trying to switch your diamond.